*This is a repeat session of training previously offered by the Department of Education. Pending approval from the U.S. Department of Education, South Dakota students in grades 3-8 and 11 will take part in the Smarter Balanced Assessment Consortium Field Test beginning March 18, 2014. The South Dakota Department of Education will be working with districts to create the spring testing schedule. The SBAC Field Test is based on the Common Core standards in English language arts and math, and will be administered in place of the Dakota STEP. The assessment will be delivered online. Because this is a Field Test, student results will not be delivered in the typical fashion. Furthermore, school accountability classifications will be held steady for one year. If a school was classified as a Focus School in 2013-14, that classification and any associated requirements would continue into the 2014-15 school year. As schools prepare for new assessments aligned to the Common Core, it is important to remember that comparing the results of the old Dakota STEP with the new Smarter Balanced test is not appropriate. The new assessment measures different standards and will require that a new baseline for performance be set. For more information, contact Jan Martin, South Dakota Department of Education, at (605) 773-3246, or Jan.Martin@state.sd.us. This story is the first in a series on the continuing development of South Dakota’s model teacher effectiveness system. Next month, we will focus on measures of student growth and in December, we will talk to educators who are implementing the system this year as part of a pilot program. Beginning in the 2014-15 school year, South Dakota public school districts will be required to have teacher effectiveness systems in place. The South Dakota Commission on Teaching and Learning (CTL) has developed a model system that meets ESEA flexibility requirements and encourages meaningful evaluation and development of effective teaching. The CTL’s work builds on that of work groups that started this process in the summer of 2012. 1. The purpose of the teacher evaluation is to continually improve instruction and student learning. 2. The evaluation process encourages professional teacher‐administrator relationships as a basis for structuring meaningful, in‐depth dialogue focused on student learning. 3. The evaluation process uses multiple measures of teaching practice and student growth to meaningfully differentiate teacher performance. 4. The evaluation process communicates clearly defined expectations and provides regular, timely, and useful feedback that guides professional growth for teachers. 5. The evaluation process is a fair, flexible, and research‐based mechanism to create a culture in which data drives instructional decisions. 6. The evaluation process will be used to inform personnel decisions. Under the model system, teachers will receive both a professional practice rating and a student growth rating. The two separate ratings are combined using a summative rating matrix. This tool provides the opportunity for evaluators to exercise professional judgment prior to classifying teacher performance into one of three categories (Below Expectations, Meets Expectations, Exceeds Expectations). The recommended method does not rely on a uniform formula to calculate effectiveness ratings. Instead, the method prioritizes professional practices relative to the South Dakota Framework for Teaching (Charlotte Danielson model), while also incorporating evaluations of student growth as one significant factor. To view graphic summary, to go: http://doe.sd.gov/pressroom/educationonline/2013/oct/images/DTEgraphic.png. Quantitative measures of student growth are the other significant factor in determining and differentiating teacher effectiveness. Data from state standardized tests must be one of the quantitative measures used to evaluate the performance of teachers who provide instruction in state-tested grades and subjects. Given that the state assessment is administered to limited grade levels and subject areas, it is important to note that the model system includes a common process for evaluating student growth for the broad range of teachers. Evaluators and teachers collaborate in a goal‐setting process and the establishment of Student Learning Objectives, or SLOs, which serve as the foundation for evaluating a teacher’s impact on student growth. These SLOs reflect a rigorous, yet realistic expectation of student growth that can be achieved during the instructional period. “Using student growth, as opposed to student achievement results from a single test delivered once a year, is much more reflective of the impact an individual teacher has on student learning,” Dr. Schopp said. Training to support professional practice evaluations will be delivered through Teachscape Focus, a comprehensive web‐based training program aligned to the South Dakota Framework for Teaching. Teachscape Focus provides in‐depth training for both teachers and evaluators. The state is providing this tool to all public school districts. Training related to SLOs also will be offered beginning spring 2014. Contact Carla Leingang with any questions at Carla.Leingang@state.sd.us. This story is the first in a series on the continuing development of South Dakota’s model principal effectiveness system. Next month, we will focus on measures of student growth and in December, we will talk to educators who are implementing the system this year as part of a pilot program. Beginning in the 2014-15 school year, South Dakota public school districts will be required to have principal effectiveness systems in place. Several work groups, including the South Dakota Commission on Teaching and Learning (CTL), have been involved in developing standards for principals, as well as a model evaluation system. The model system meets ESEA flexibility requirements and encourages meaningful evaluation and development of effective leadership. Beginning in the summer of 2012, a work group began developing a framework for evaluating principal effectiveness. The South Dakota Framework for Effective Principals includes six domains and 22 performance components. These domains include both those pieces of a principal’s job that surround instructional leadership and school improvement, as well as those duties related to the daily management and operation of a school. 1. Foster continuous improvement by improving school practices and educator effectiveness with the result of improved student success. 2. Foster principals’ professional growth and accountability to enhance their skills and knowledge with the result of improved student success. 3. Provide a record of facts and assessment for personnel decisions to ensure every school in South Dakota has an effective principal. The model evaluation system recognizes that principals are capacity builders who help to facilitate meaningful school improvement and student learning. The system is designed to help evaluate principals as learning-focused leaders who are able to build a positive learning community with high quality teachers, enabling students to achieve at high levels. Under the model system, South Dakota principals will receive both a professional practice rating and a student growth rating. The two separate ratings are combined using a summative rating matrix. This tool provides the opportunity for evaluators to exercise professional judgment prior to classifying principal performance into one of three categories (Below Expectations, Meets Expectations, Above Expectations). This method of combining the two ratings does not rely on a uniform formula to calculate a summative effectiveness rating. Instead, the method prioritizes professional practices based on standards developed by the work groups (South Dakota Framework for Effective Principals), while also incorporating the evaluation of student growth as one significant factor. Evaluations serve as a basis for developing individual professional growth plans focused on school improvement and student achievement. To view graphic summary, go to: http://doe.sd.gov/pressroom/educationonline/2013/oct/images/Principals.png. The professional practice rating of the evaluation is based on the South Dakota Framework for Effective Principals. Evaluations may be supported by evidence gathered through formal observation and by other evidence demonstrating performance relative to principal standards. Quantitative measures of student growth are the other significant factor in determining principal effectiveness. Data from the state standardized assessments and accountability systems (eg., Annual Measurable Objectives, or AMOs, and School Performance Index, or SPI, scores) must be one of the quantitative measures used to evaluate principal performance at schools in which state testing occurs. Other measures also may be used as part of the student growth rating. In particular, the model focuses on Student Learning Objectives. A principal would be evaluated based on his or her teachers’ success in helping their students meet SLOs. SLOs serve as the foundation for evaluating a teacher’s impact on student growth. SLOs reflect a rigorous, yet realistic expectation of student growth that can be achieved during the instructional period. To learn more about the model principal effectiveness system being piloted this year, view the South Dakota Principal Effectiveness Handbook at http://doe.sd.gov/oatq/documents/Principal.docx. 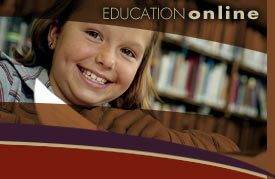 The South Dakota Department of Education has developed a package of professional development opportunities for school administrators for the 2013-14 school year. This package focuses on implementation of Common Core standards and new evaluation systems for teachers and principals. In addition to trainings, district administrators and teachers will be asked to complete an online survey related to Common Core implementation, Smarter Balanced assessment readiness, and teacher/principal effectiveness. The results of the survey will be used to create a “Stop Light Report,” which will help districts identify local-level strengths and areas of critical need. Based on those results, SDDOE will sponsor one day of service for coaches/trainers to work with district leadership teams. The South Dakota Department of Environment and Natural Resources will be accepting applications for the sixth round of funding under the South Dakota Clean Diesel Grant Program. The program provides funds to assist schools in purchasing new public school buses to replace old, high-emitting diesel school buses, and to equip in-use diesel school buses with exhaust control retrofit devices that significantly reduce toxic soot emissions. The primary goal of the program is to reduce students’ exposure to pollution. There is no cost for the exhaust control retrofits. Eligibility for the retrofits includes any South Dakota public school district that directly provides transportation services. Total award per school district for a replacement bus will be approximately 25 percent of replacement cost and may be more depending on the number of successful applicants. Districts that have not received a replacement bus in previous rounds will have preference. DENR intends to award funds to as many eligible applicants throughout the state as possible. The application deadline for round six is Dec. 20, 2013. For more information about the program, go to: http://denr.sd.gov/des/aq/aadera.aspx or contact the DENR Air Quality office at (605) 773-3151. Kudos to these four schools! Blue Ribbon schools are selected for their overall academic excellence or their progress in improving student achievement. The National Blue Ribbon Schools award honors public and private elementary, middle, and high schools where students perform at very high levels or where significant improvements are being made in students’ levels of achievement. A total of 420 eligible schools nationwide may be nominated, with allocations determined by the numbers of K-12 students and schools in each jurisdiction. The U.S. Secretary of Education invites nominated schools to submit an application for possible recognition as a National Blue Ribbon School. U.S. Ed will honor all of this year’s National Blue Ribbon Schools at a recognition ceremony Nov. 18-19 in Washington, D.C. The search is on for South Dakota’s top youth volunteers. Now through Nov. 5, 2013, students in grades 5-12 are invited to apply for Prudential Spirit of Community Awards if they have made meaningful contributions to their communities through volunteer service within the past 12 months. The application is available at http://spirit.prudential.com and www.nassp.org/spirit. The awards, sponsored by Prudential Financial in partnership with the National Association of Secondary School Principals, were created in 1995 to recognize middle level and high school students for helping people in need, promoting health and safety, protecting the environment, or volunteering in other ways. The awards are presented annually on the local, state, and national level. South Dakota’s top youth volunteers of 2013 were Daniel Schmidtman, 18, of Sioux Falls and Bridger Gordon, 13, of Whitewood. Schmidtman, South Dakota’s top high school volunteer, helped form a hunger-focused student volunteer organization that has grown to include more than 175 members from numerous schools who are participating in monthly service projects and planning several large fundraising events. Gordon, South Dakota’s top middle level volunteer, has spearheaded several environmental initiatives in his community over the past four years with the philosophy that every day should be Earth Day. Applicants for 2014 awards must complete their online application by Nov. 5, 2013, then submit them for certification to a middle or high school principal, Girl Scout council, county 4-H agent, American Red Cross chapter, YMCA, or HandsOn Network affiliate. Paper application forms can be requested by calling 877-525-8491 toll-free. Jobs for America’s Graduates aims to prevent dropouts among young people at risk through guided mentoring and targeted training. The program’s success rate is impressive, and now it is expanding in South Dakota. Dr. Julie Ray of Florida, with the national JAG organization, recently offered a training session in Pierre for school specialists and principals. Rapid City and Bennett County schools are new to the program this year. JAG programs were already in place in Wagner, Todd County and Lake Andes schools. The training provided technical assistance for JAG specialists implementing new programs or continuing existing ones. JAG is one of the South Dakota Department of Education’s strategies for addressing college and career readiness for all students. “This program gives our at-risk students the one-on-one attention they need. It changes lives,” said South Dakota Secretary of Education Melody Schopp. Beginning in the 2014-15 school year, districts are required to evaluate teachers using the state minimum requirements for evaluating teachers. This system includes both a professional practice rating – based on the standards for teaching (Charlotte Danielson Framework) – and a measure of student growth. Districts that are interested in taking advantage of this flexibility would need to apply to the Department of Education by Jan. 31 before the year in which they plan to use the alternate system. Forms are currently being prepared for this purpose. The rules will go before the Legislature’s Rules Review Committee in November for final approval. To access the rules brought forward to the Board of Education, go to: doe.sd.gov/board/index.aspx. (Note: Several amendments were made.) More information to come when the forms are available. Questions can be directed to Abby Javurek-Humig (Abby.Javurek-Humig@state.sd.us) or Carla Leingang (Carla.Leingang@state.sd.us) in the department’s Division of Assessment and Accountability. Call (605) 773-3426. Capstone experiences allow students the opportunity to consolidate and apply the learning from their high school coursework into a meaningful and relevant career-related experience. These experiences include Entrepreneurship Experience, Senior Experience, Service Learning and Youth Internship. Learn about opportunities that await your school, strategies for implementation, and resources to get started. This year’s Systems Change Conference will be held at Cedar Shore Resort, located on the Missouri River near Chamberlain and Oacoma. Long regarded as one of the region’s premier professional development events for educators, this event also features the announcement of the South Dakota Teacher of the Year, during a special recognition banquet. Graduate credit and DOE contact hours are available. For more information, or to register, go to systemschange.midwestmaple.org. Building the capacity of school principals is critical for successful implementation of the Common Core State Standards (CCSS). It demands a shift in thinking to enhance instruction, assessment, and learning. Successful implementation of CCSS will move districts from preparing students for graduation to preparing students for college and careers. This workshop will provide principals with practical, hands-on experiences to better understand how the Common Core fits within a multi-tiered system of support (MTSS). Workshop activities will also focus on what higher-order instruction and assessment should look like in the classroom. Lastly, the workshop will help principals understand how the Common Core State Standards, the South Dakota Teaching Standards (Danielson Framework) and the Teachscape evaluation system all fit together. This workshop will provide principals with practical, hands-on experiences to better understand how the Common Core fits within a multi-tiered system of support (MTSS). Workshop activities will also focus on what higher-order instruction and assessment should look like in the classroom. Lastly, the workshop will help principals understand how the Common Core State Standards, the South Dakota Teaching Standards (Danielson Framework) and the teacher effectiveness system all fit together. Module Two: Common Core 101 will be a one-day workshop. Module 3 will be online follow-up work for both Math and ELA. The South Dakota Board of Education is scheduled to meet Nov. 18 in Pierre, at the MacKay Building, 800 Governors Drive. An agenda will be posted at doe.sd.gov/board at least 24 hours in advance of the meeting. These are only a few upcoming events. Go to: http://southdakota.gosignmeup.com/ for a complete listing.